Performing Purcell’s King Arthur at Snape Maltings with Vox Luminis was one of my highlights of 2017, so it was with great pleasure that I got the opportunity to visit Belgium for two days of recording with Vox Luminis. The ensemble was recording King Arthur at AMUZ (Augustinus Muziekcentrum) in the centre of Antwerp. 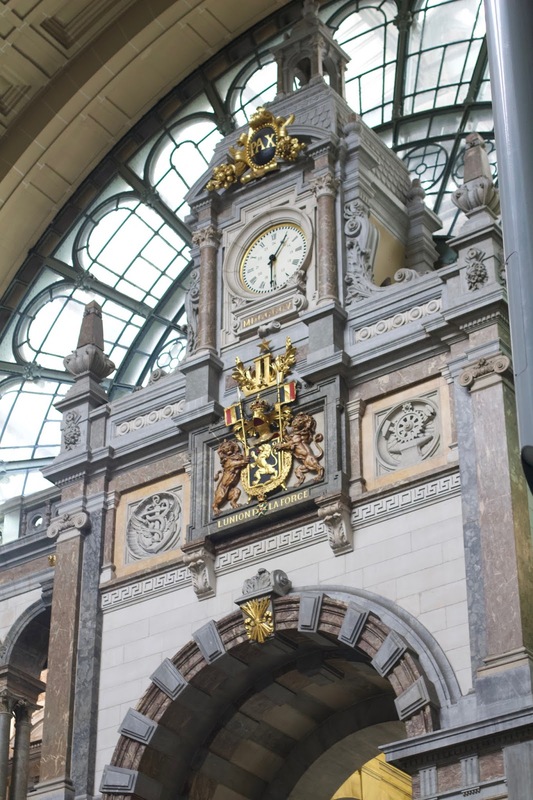 Arriving in Antwerp is certainly an impressive affair; Antwerpen-Centraal railway station, regarded to be the finest example of railway architecture in Belgium, was designed by Louis Delacenserie for the Brussels-Mechelen-Antwerp Railway and was built between 1895 and 1905. The station’s monumental terminal building is replete with impressive masonry, arches, columns, a rose window, a dome (75m high) and of course a beautiful horological focal point. The platforms are now on several levels, as recent (1998-2007) excavation work converted the station from a terminus to a through station, enabling (Thalys, HSL 4 and HSL-Zuid) high-speed trains to travel through Antwerp. As an appreciator of railways, I was very fortunate to be able to arrive at (and subsequently depart from) this spectacular station, having completed my journey entirely by rail - including through the marvel that is the Channel Tunnel (on the Eurostar). 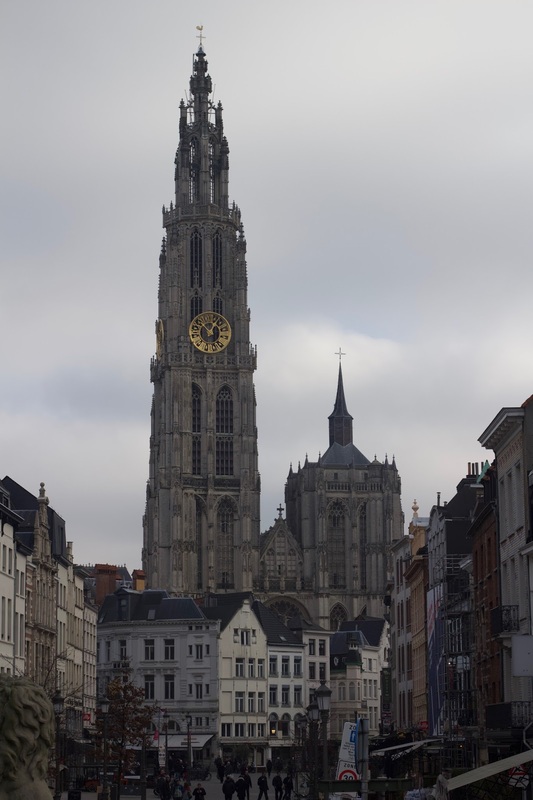 Antwerp itself is an interesting port city on the River Scheldt. 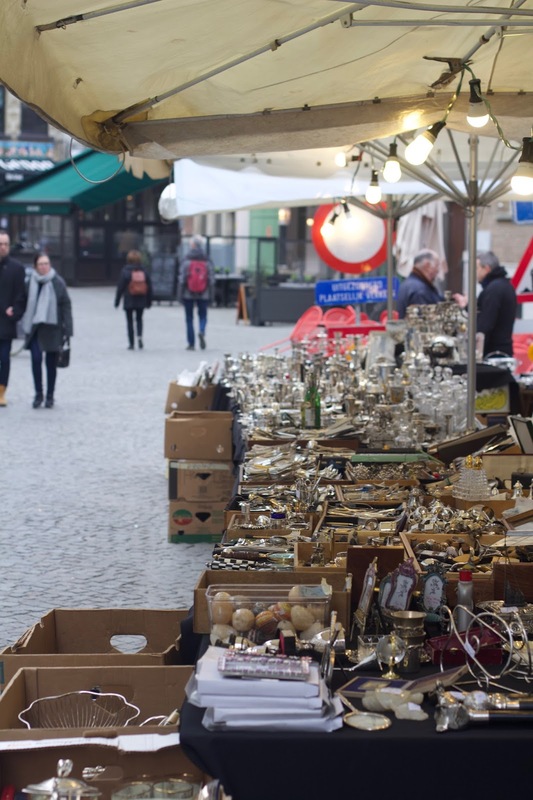 It has been an important centre of trading since the Middle Ages and has gained renown over centuries as a centre for diamond work. The old town features an incredible cathedral (Sint-Pauluskerk) in the Veemarkt (livestock market). Just got back from Antwerp. Fantastic city and such a pleasure to be able to travel by rail all the way! 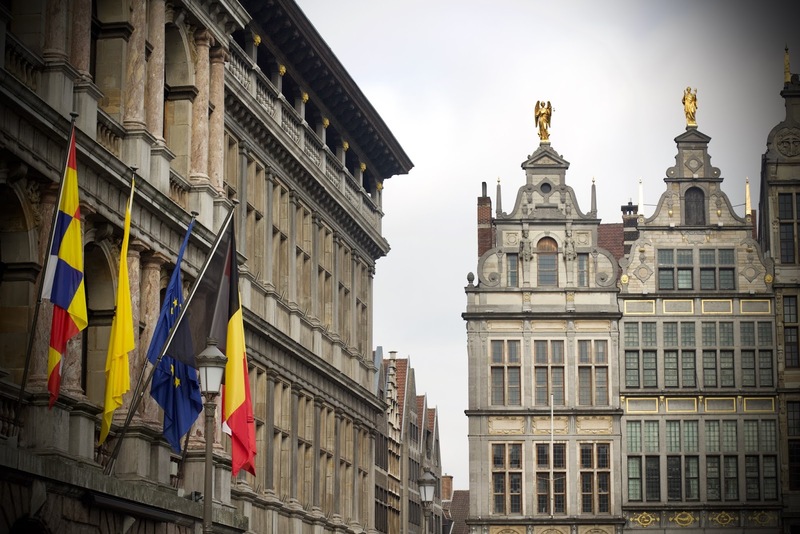 Speaking of impressive, you cannot visit Belgium without discovering the remarkable linguistic prowess of the Belgian people - most seem to be at least bilingual and many more are trilingual (Flemish, French and English). I've been to Belgium, lamentably, only a few times before and I have only performed in Belgium once before (with the Orchestra of the Eighteenth Century in 2014), so I really enjoyed having some time to explore this city and learn from its culture and people. Recording with Vox Luminis was very enjoyable. The standard of the singing was, of course, superb and they have an exceptional orchestra as well. I was playing second trumpet, with Rudolf Lörinc on first. We get on so well together - it is great to spend time with him. The other musicians in the group say that we look like brothers! 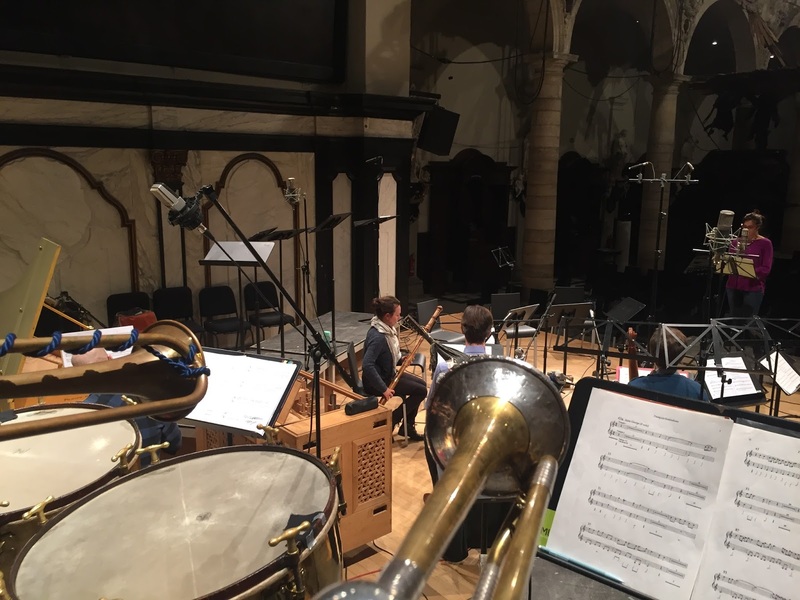 The trumpet parts in King Arthur frequently weave around each other so it was great to be able to play this with Rudolf as he is a very musical trumpet player. We also enjoyed Marianna Soroka’s excellent percussion-playing - she played timpani and other percussion instruments. On Friday 26th January 2018 we recorded No.3 Overture, No.10 Come if you dare (with the excellent tenor soloist Robert Buckland), No. 43b Chorus: Our natives not alone appear and No.43a Saint George (with the soprano soloist Sophie Junker - who was brilliant). Saint George featured intentionally rousing bassoon playing from Lisa Goldberg, and a flurry of activity from the natural trumpets and timpani - amid the elaborate and beautifully-executed soprano solo by Sophie Junker. It was a very enjoyable way to round off the first day (for us) of the recording. The final day of recording (Saturday 27th January 2018) enabled the capture of our remaining orchestral numbers: No. 42 (Trumpet Tune - a ‘Warlike Consort’) and 34 (Fourth Act Trumpet Tune). It was a great pleasure to record this wonderful music with this excellent group of musicians, and to explore the delights of the city of Antwerp - with all travel by rail.